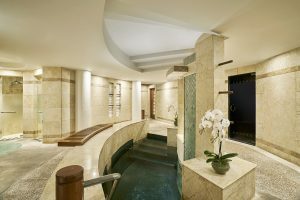 Multi-award-winning programmes at the legendary wellness sanctuary. 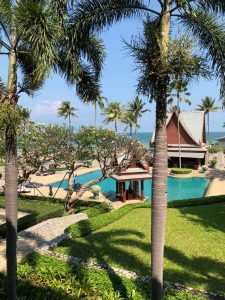 Hua Hin, a three-hour escape from Bangkok, is loved by locals for its holiday resorts and royal summer palace, but for the international elite there is only one particular reason: Chiva-Som. The name rings with cult appeal, where at the onset of the health and wellness boom in the ’90s, and popularised by a certain Kate Moss, it was de rigueur among the jet set for its intensive detox programmes, the antidote to those hedonistic parties of Ibiza and St. Barts. 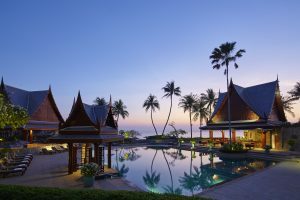 Twenty-three years on and the appeal still holds, despite the five-star destination spas that have since fringed the perimeters of Southeast Asia with the promise of the return to health—and self. But anyone who has gone the gamut, as I have, holds Chiva-Som as one of their best experiences, some life-changing, too. With all that hype, I was surely holding my breath, especially having read the celebrities of my London days—Elle Macpherson, Sadie Frost, Elizabeth Hurley, et al.—gush about the health sanctuary in the pages of Hello!. That said, a friend’s Insta-post from her 10-day stay of what looked like three grains of rice on a banana leaf captioned “lunch” did fill me with some angst. Not to mention the eight-page consultation form that I had to fill one week prior, which covered so much detail that I had to do some medical research of my own. And just before I left, dear Dame Betty Lee submitted a hilarious account of how her health practitioner “pressed three cabbage seed studs to (her) ear flaps”, and her ominous 300ml liquid diet for breakfast, lunch, and dinner. 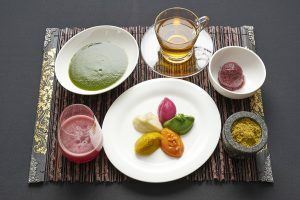 Chiva-Som is known to be serious about its multi-award-winning health programmes, which range from weight management to the Art of Detox, cancer recovery to emotional rehabilitation. Mobile phones are banned in all areas of the hotel to ensure focus, and protect guest privacy. FYI, Roberto Cavalli was often at the table across at dinner, but I daren’t even look! Time to switch off, and flow with the go. 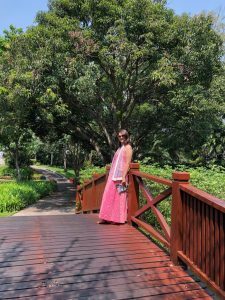 Arriving at Chiva-Som after miles of souvenir shops, neon-lit clubs, and bustling family resorts, was already a respite with its tropical greenery and traditional welcome pavilion perched by a landscaped lake. No sooner were we checked in and onto our first treatment; there was plenty to do in four days. And so, into our spa pyjamas and down we went to the lower level of the resort. With over 200 treatments, 70 treatment rooms, and 12 types of retreats customised by your own health consultant to every mental-physical-spiritual need, you’re sure of optimising every single hour here with health and wellness, right down to the sodium-gluten-sugar-free meals. And yes, they were very delicious. My prescribed retreat came as no surprise: stress release. I was booked in for a long list of treatments that included daily Thai massages, Crystal Massage and Quantum Healing, and two sessions of Chi Nei Tsang, the ancient healing abdominal massage that I’ve been trying to source for years in Malaysia. A solid session of mindfulness-based stress release by Dr Jason Culp recalibrated my own health approach. Through breathwork, mindful eating, body treatments, and physiotherapy, I not only lost two kilos in four days but also improved my lifestyle with sustainable healthy practices. A morning out to the resort’s organic garden with cuisine director Paisarn Cheewinsiriwat informs the care given to meals. 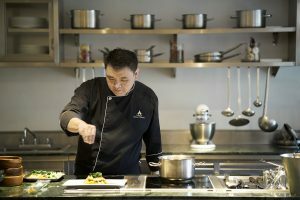 “I am a chef first, then a nutritionist, so I focus on making delicious food with healthy ingredients,” said the chef who has worked with Michelin-star chefs such as Michel Roux, and at Chiva-Som for 15 years counting. “People have changed their way of eating, as luxury has shifted to sustainable products cooked in a creative, flavoursome way.” He walks me through sections of Thai herbs, exotic aromas permeating the air. “Traditional Thai food is already healthy,” he says of the cuisine at Taste of Siam that offers a lighter take on the classics. Breakfast is a wonderful discovery, from zucchini bread to a “Chiva-tella” spread, coconut nectar honey to local cheeses; and we skipped lunch because, really, we hardly felt hungry. 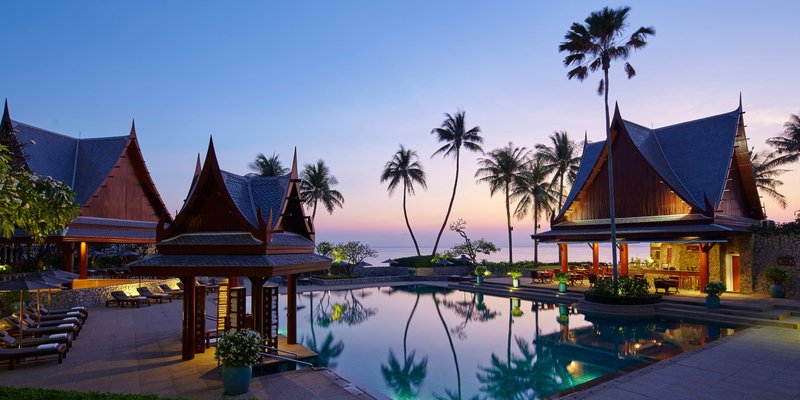 There are a whole lot of other things to experience, from the requisite spa facilities to yoga, tai chi, swimming in the coconut tree-lined pool or out in the wide open sea. 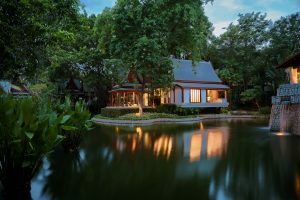 Or go for a run at the nearby mangrove acreage, the resort owner’s community project nestled at the foothill of a Buddhist temple. And remember, you’re never held in: the Cicada night market is walking distance, as with the other five-star resorts for a fun evening out. This is how healthful holidays should be like, paradise the sweet pill. The designer is sticking to the style signature he perfected at Saint Laurent. The designer celebrates her brand’s 10-year anniversary in the perfect way. The supermodel gives BAZAAR an exclusive on fighting for women and being the epitome of a Herrera woman. From rusty reds to tie-dye, the key looks to have on your radar. HEARST INTERNATIONAL BUREAU, 8th Avenue, NYC 10019.